HomeBlogBackpacksWhat is the best women’s backpack for short day hikes and what is the best women’s backpack for 7+ days trips? What is the best women’s backpack for short day hikes and what is the best women’s backpack for 7+ days trips? One of the most common trends in the world today are travelling. People often head out of their usual surroundings, with their usual troubles and their usual selves to explore new places. Exploring new places helps them relieve stress that they gather over a long period of time from their hectic work schedules and busy lives. So many people are looking for opportunities to travel because the results are often outstanding. Perhaps the fantastic results have something to do with the fact that meeting new people and exploring newer parts of the world grant you the freedom that you so desire in your everyday boring life. As change is the essence of traveling, the traveling habits of people have changed with time too. With restrictions on international travel getting more and more strict every now and then, people tend to look for easier ways to explore the world. Easier way not just in the sense of having to stop through lesser and lesser restrictions, but also in the sense of spending as little money as possible. The opportunity to travel cheap, although tempting, is very difficult to accept, because believe it or not, travel is expensive. In real, however, the thought of travel being expensive is just an excuse for some people to not get out of their shell. Travel can be very cheap given that you find the right way to travel. Backpacking is that right way. It stems from the idea of minimalism that calls for people to own as less as possible by deducting the unnecessary belongings from their life. Applied to travel, this idea calls for travel with only those belongings that are absolutely necessary for your trip. This idea behind traveling has come to be known as backpacking because of the fact that most of what you will take will be inside just one backpack and nothing else. However, it does not end there. The idea extends to cover how you actually survive your trip. Under this ideology, you will not be expected to stay at expensive hotels and eat at overpriced restaurants. You will be expected to use the money you could have spent there, to be utilized in exploring the place. Of course, there are no hard and fast rules, but the more you follow it, the more you save. Clearly if you need to go backpacking, you need to have a great backpack that can store all your personal belongings that you will need for your trip. There are several factors that you need to take care of when you buy a backpack for your traveling. 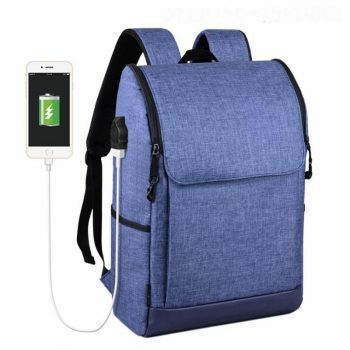 The 15.6 inch Solar Powered Backpack at gizmoist.com is a great candidate to be your hiking partner or for times that you need to carry 7+ days of travel. The backpack’s solar power charging is very impressive. With two charging ports and fast charging feature, this backpacks will always keep you connected on the go, while space is enough for all your traveling needs. Over the last few years, as the line between ladies backpacks and men’s backpacks have become more and more blurred, there have been many instances where manufacturers have preferred producing unisex backpacks instead of one catering to just one gender. There are no hard rules that differentiate a ladies backpack from any other. However, it has been seen that ladies have always preferred backpacks with great style and often shiny exteriors. The Shell Shape Leather Backpack at gizmoist.com is one of their star products. This backpack is often seen as a great ladies backpack. 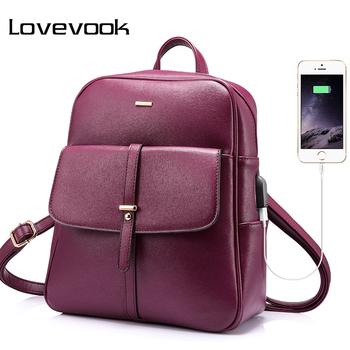 The backpack is made out of genuine leather, is waterproof and has several anti-theft features to keep all your belongings safe during travel. The color and design are one of the best features of this backpack, while the backpack has all the space in the world to pack all your traveling needs. Should I choose to go for genuine leather bags or faux/PU leather bags?